Kabir Khan's upcoming directorial, 83, has the most ambitious star cast of the year. The movie features Ranveer Singh in the lead role playing former Indian skipper Kapil Dev on screen. Since the movie retells the story of Indian Cricket Team's win at the World Cup 1983, numerous other actors have been roped to essay the role of the team members. Tahir Raj Bhasin, Saqib Saleem, Harrdy Sandhu, Jiiva and many others are playing sportspersons on screen in the film. Just when we thought we have the final casting, the makers have announced a new starry addition to it. 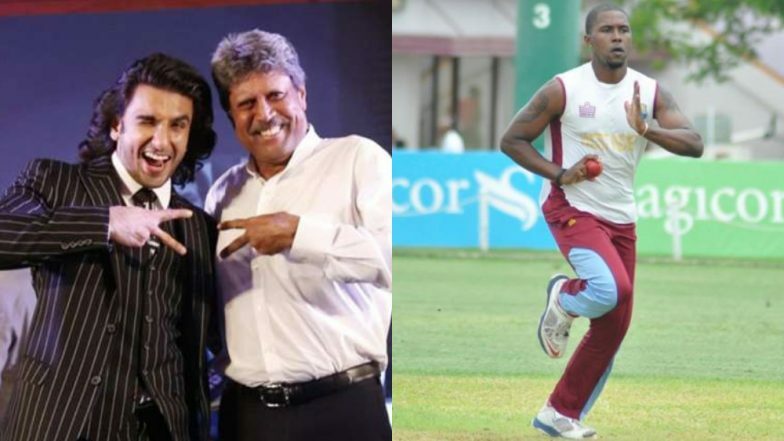 West Indies' fast bowler Malcolm Marshall’s son Mali Marshal has been cast in a special role. Mali will be playing the role of his late father on screen. Mali's bowling skills are just like his father, which led to his casting in the film. Kabir, the director, has also approached sons of other players from the West Indies team, as per a report by Mirror. After Kapil Dev, 'Jimmy' Aka Mohinder Amarnath Joins Ranveer Singh's '83 Team in Dharamshala - View Pics. Ranveer Singh and the rest of the actors have put their heart and soul into preparing for the film. Ranveer learnt the Natraj shot from the master blaster Kapil Dev himself. The cast and crew were in Dharmshala a few days back, for a training session. 83 is expected to go on floors on May 15.